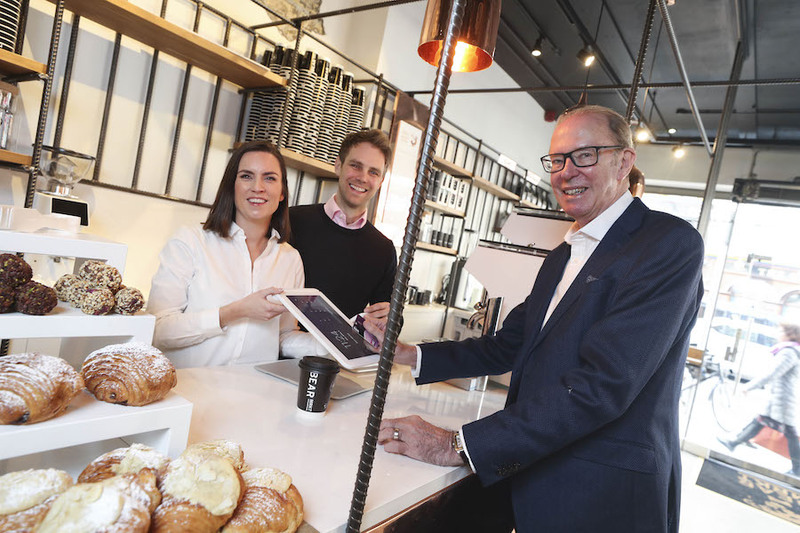 Magnet Networks Managing Director Ireland Stephen Brewer with husband and wife team Stephen and Ruth Deasy of Bear Market Coffee who have opened a cashless store in Dublin’s South Great George’s Street. Picture Conor McCabe Photography. Technology is key to the operation of a cashless enterprise, and Bear Market has partnered with Magnet Networks to provide a full retail solution which includes secure dedicated internet access, cloud voice, and enterprise-class Wi-Fi. “Working with some of Ireland’s leading retailers, Magnet Networks’ dedicated internet access technology provides the foundation for next generation digital retail growth. “Cyber security is vital when you are dealing with electronic payments we provide a managed firewall and advanced endpoint protection. The cashless store allows Bear Market to provide an even better customer experience with fewer queues and the facility to order in advance and collect via their app, according to Stephen Deasy of Bear Market.